Our guiding philosophy is to ensure that children grow and learn in an atmosphere of warmth, freedom, togetherness and security. At Wekeela there are no A or B or C teams for activities, if your child wants to try something, we encourage them to try, learn, while the goal is to have fun. Our approach to scheduling and camper’s role in shaping their own schedules facilitate these goals. Getting to Wekeela is a snap whether traveling by group or individually. We provide recommended flights and ask that you book through the camp’s official travel agent. Those close to the area can drop off their children at the bus or those flying into those airports will join the bus. Generally, most campers travel by airplane for the first part of their trip to Wekeela. Campers arriving at Logan International Airport in Boston or the Portland Jetport in Portland, Maine are transported to Wekeela by chartered air-conditioned coach buses, vans or camp SUVs. Campers from the NY area can fly to Portland Jetport. The majority of our NY metropolitan area campers choose our chaperoned chartered coaches from Rye, NY. Traditionally, we have had chaperones on flights from airports serving the Washington, DC and South Florida areas. Whatever their point of departure, all campers are met by Wekeela staff upon flight arrival. There is also an option to come see Camp Wekeela for yourself and drop your child off. We welcome you to come meet the directors, staff and help your child get situated! Please feel free to call regarding your child’s specific travel needs. The cabin community. Every Wekeela cabin is of sturdy wood construction, completely weather resistant and in top condition. Designed specifically for summer camp use, our cabins have foundations raised above the ground and ample screened windows and doors. All cabins have electricity, sinks, showers and toilets as well as night lights, which are left on through the evening. All Wekeela cabins are arranged in villages to group campers of the same gender and approximately the same age. This fosters a strong sense of community and facilitates positive group dynamics. And because each cabin is designed for an optimum number of occupants, campers develop a fuller sense of individualism. The average cabin accommodates 10 to 12 campers and 3 to 4 staff members. How Do I get to Camp Wekeela? 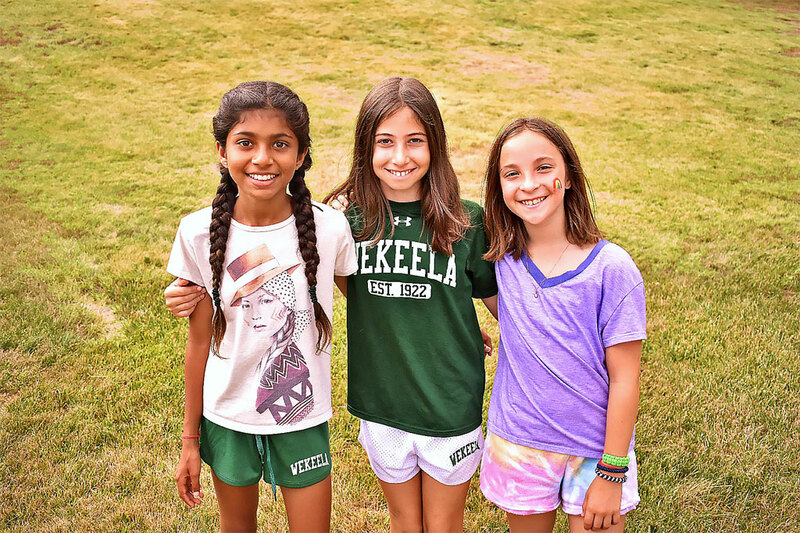 Wekeela campers come from 24 states and 18 foreign countries. 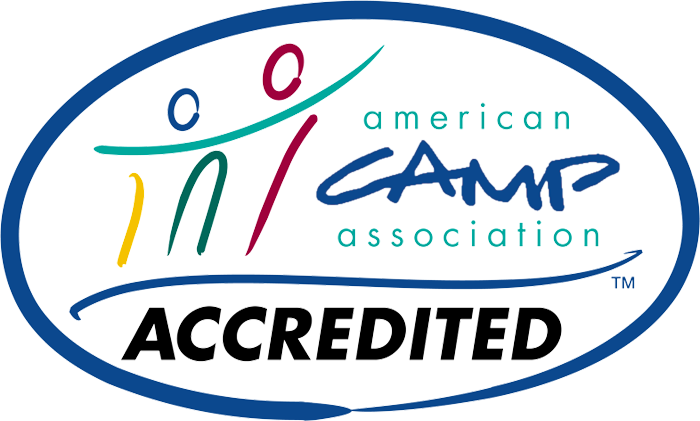 Some areas are better represented than others, principally an outgrowth of friendships with camper families. The largest concentration of campers are from the states of California, Connecticut, Florida, Maryland, Massachusetts, New York, New Jersey and Pennsylvania. While these areas represent the largest concentrations, we welcome campers from all over the United States as well as Europe, South America and the Pacific Rim. What is Wekeela’s Trips Program? Wekeela’s trips program satisfies campers’ urge to explore within our borders and beyond. All campers participate in regular nature excursions such as hiking, canoeing and fishing trips. These outings take full advantage of the challenges and abundant beauty that Maine provides. For teens, such trips include thrills such as white water rafting on the Kennebec River or the challenging hike of Mount Washington in New Hampshire. Throughout the camp schedule rotation there is a “Trip Day” during which the camp goes on an out-of-camp trip. Out-of-camp destinations generally involve tourist attractions such as festivals, amusement parks and unique points of interest. In each session, Teen Camp excursions take Inter, Junior, Senior and LIT campers to exciting locales such as the Maine coast and Bar Harbor, historic Boston and the North Shore, the mountains of New Hampshire, Vermont, and Montreal and our LIT volunteering trips to Camp Sunshine and New Orleans. These trips include hotel accommodations and afford campers opportunities such as sightseeing and touring, bowling, shopping, sporting events, “Broadway” shows, music concerts and much more. These trips extend from 3 to 4 days, whereas New Orleans is a week-long volunteer and cultural emersion trip for our oldest campers. How Structured are Wekeela’s Programs? Are they competitive? *Period 4 is an Elective Hour that changes each day. Their schedules are derived from programs in six developmental areas: athletics-a unique emphasis on soccer, water sports, tennis, wilderness/outdoor adventure programs, creative arts and performing arts. Cutting across all campers’ schedules are individual options relating to horseback riding, cooking, ice-skating, S.C.U.B.A., and inter-camp and outdoor adventure trips. The purpose of instructional programs is to help campers learn skills and competence in a program area. Campers who crave competition have numerous opportunities to test their skills in team and individual sports. Wekeela offers extensive competition via the inter-camp tournaments contests. At all times, Wekeela emphasizes sportsmanship, fair play and enjoying the experience.